Every week the might One Fay Frog Restaurant Equipment drivers unload a massive amount of used restaurant equipment onto the Super Mega Warehouse on OBT. 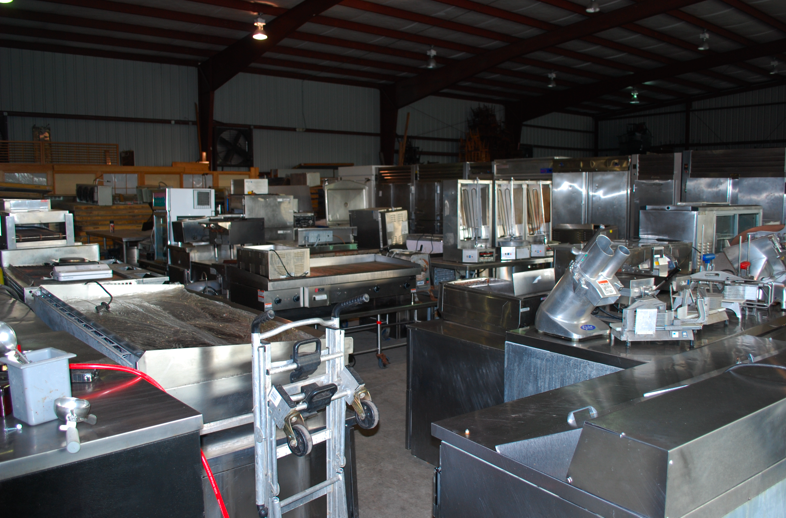 These pieces of used commercial restaurant equipment come from One Fat Frog Restaurant Equipment buying entire restaurants that are closing or from people just looking to get rid some of their old equipment. Then One Fat Frog Restaurant Equipment’s team of in-house technicians go over each piece of used restaurant equipment and clean, refurbish, and test them. • and so much more it would make you sick. If you’re in the market for any of the above items (or any other kind of used restaurant equipment for that matter) then come into One Fat Frog Restaurant Equipment of Orlando and jump on these items before they’re snatched up by the evil competition! One Fat Frog Restaurant Equipment welcomes quick cash and package deals toward the entire stock of used commercial restaurant equipment, including the above mentioned items! One Fat Frog Restaurant Equipment can also get you financed if needed!